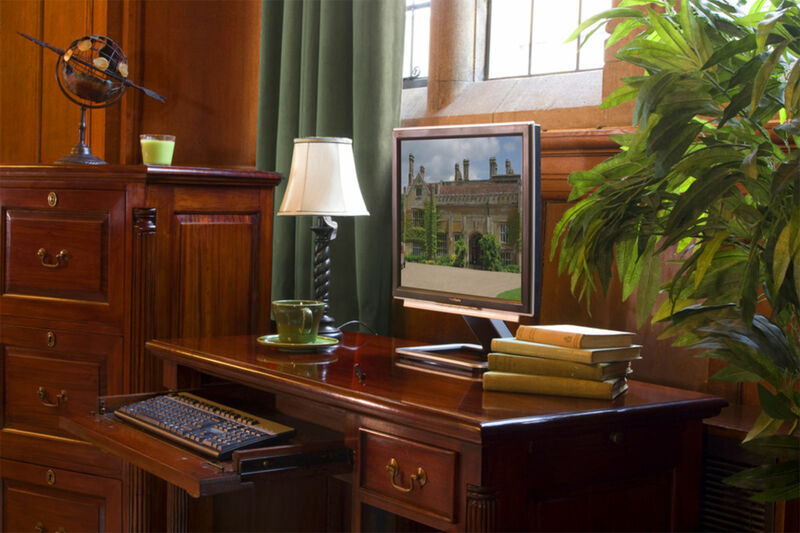 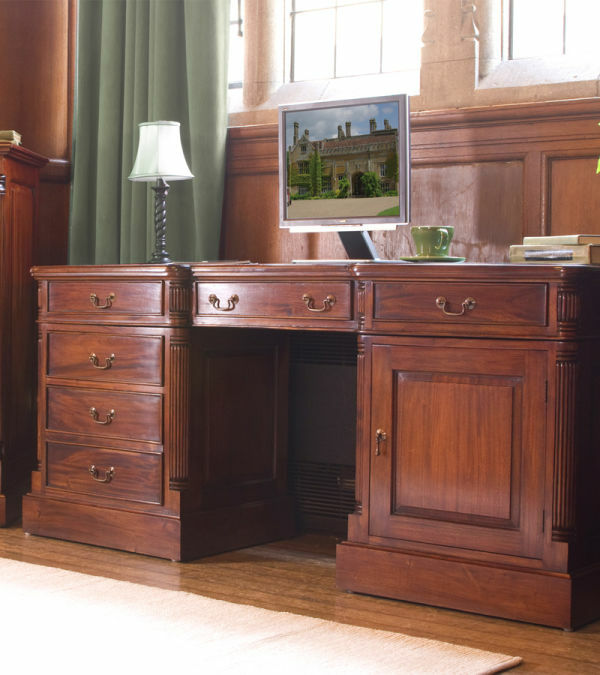 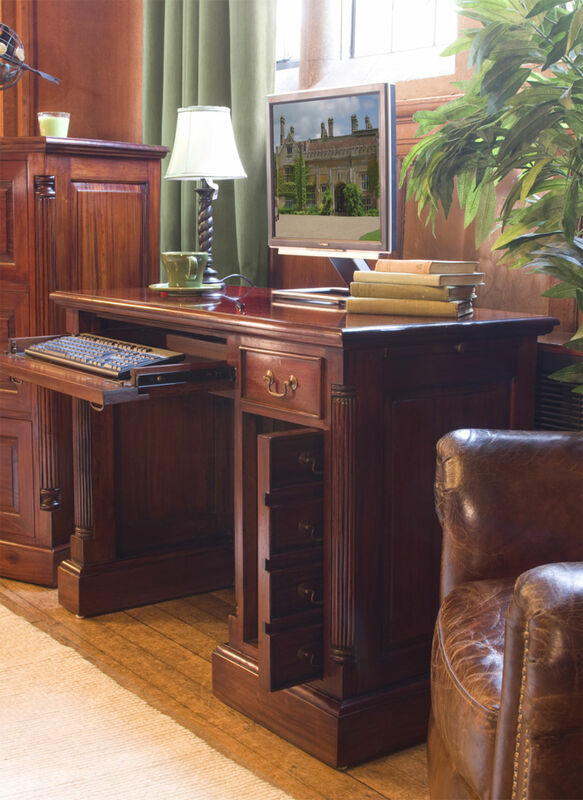 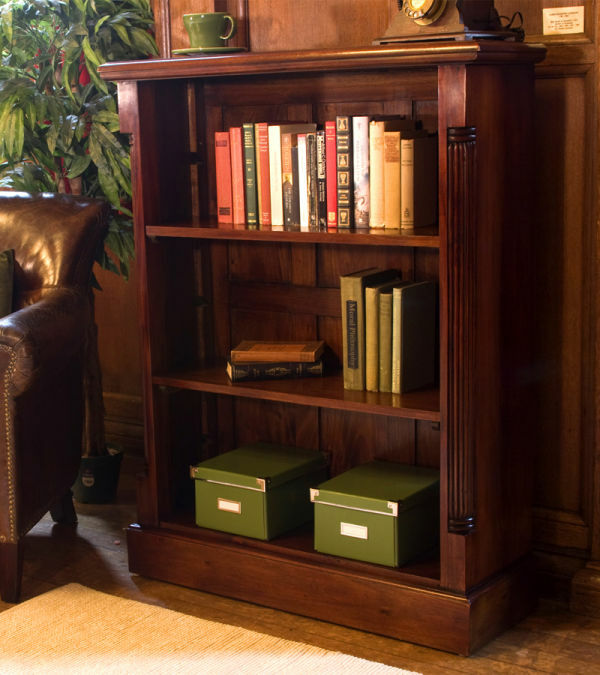 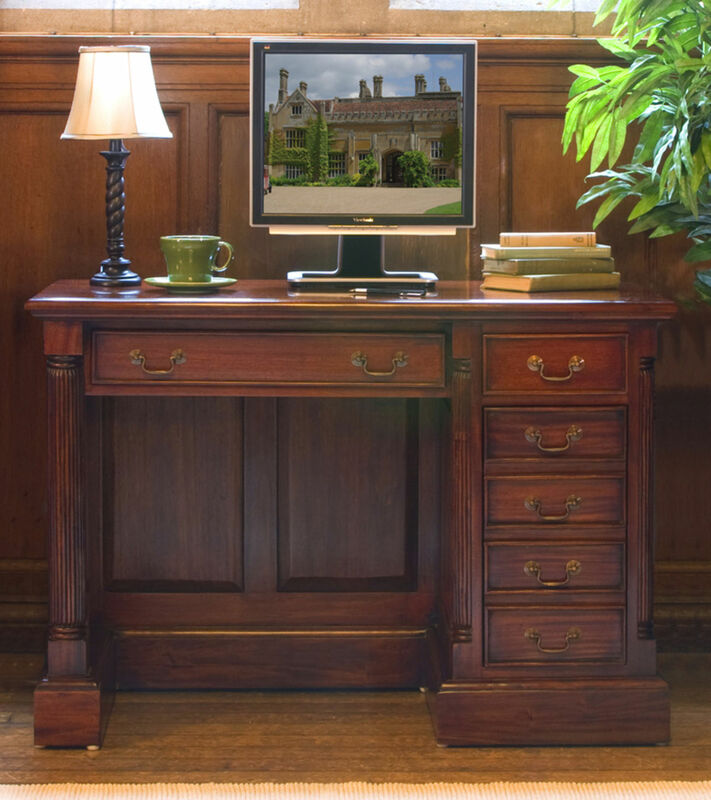 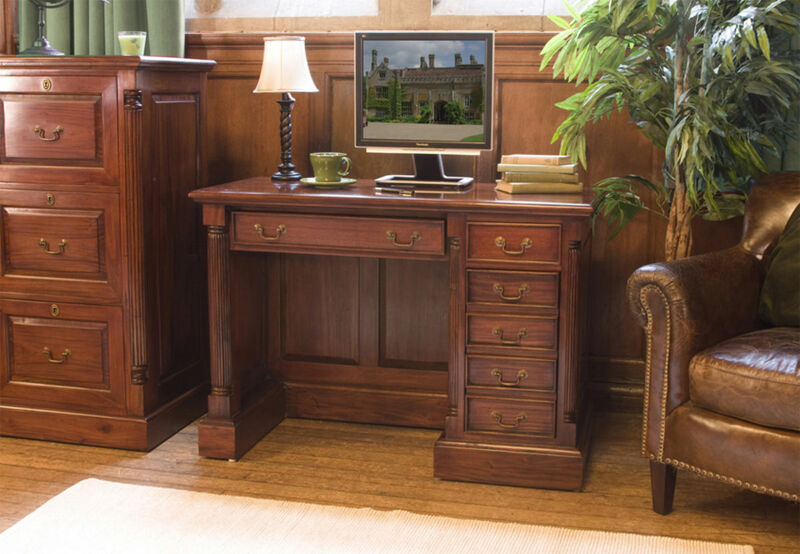 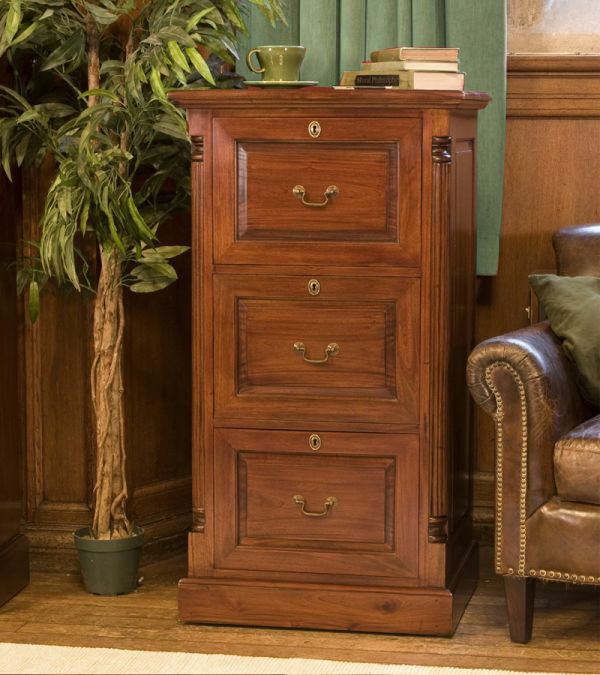 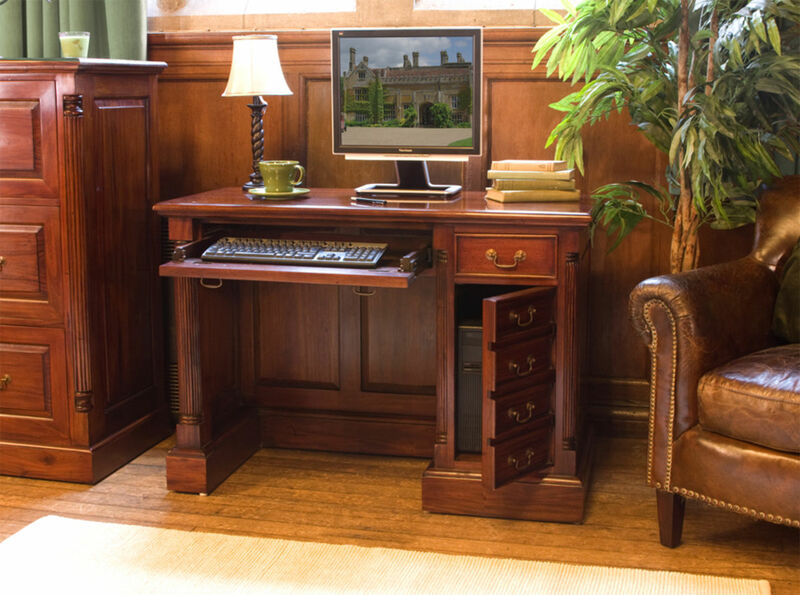 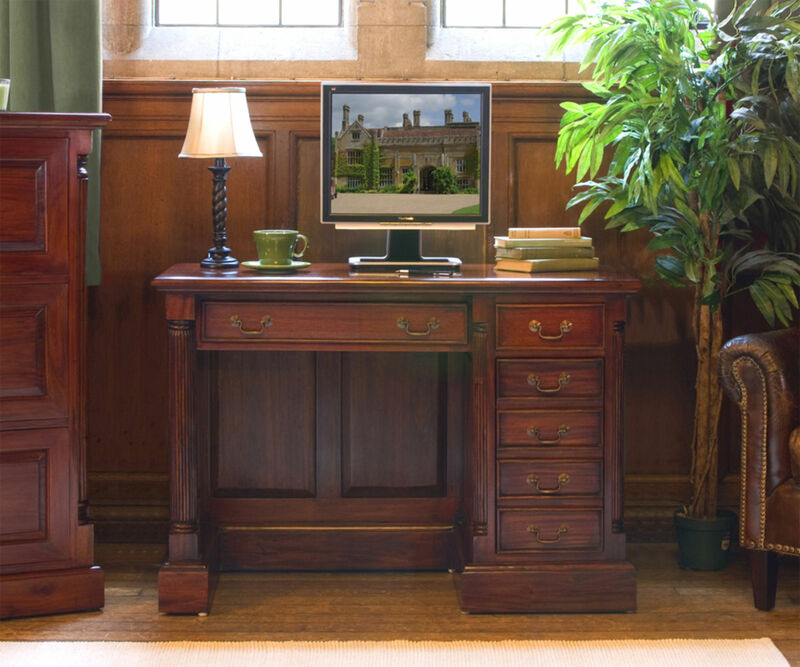 This mahogany single pedestal desk is designed for smaller spaces, is compact but certainly does not lack plenty of storage or features and is a stylish piece of furniture that will become the focal point of any home office. 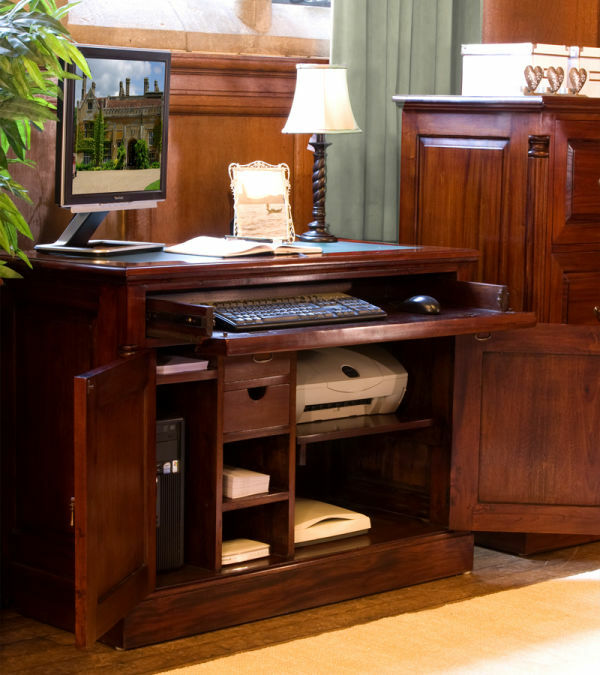 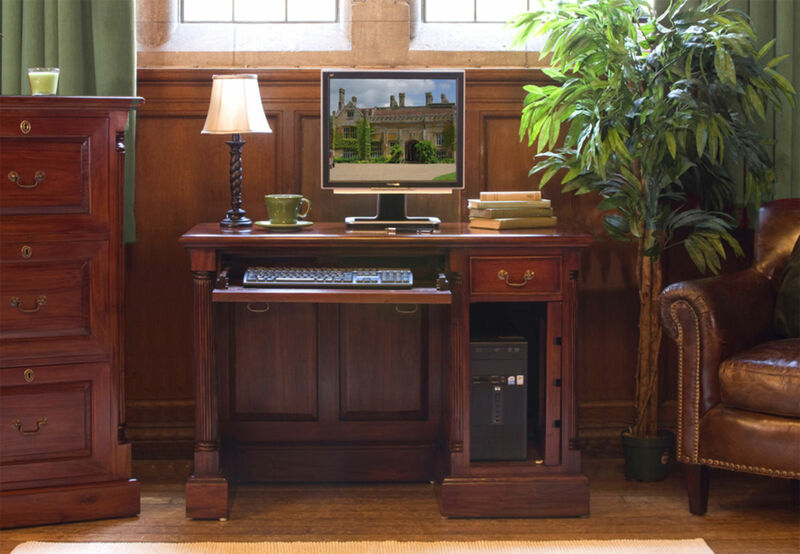 Crafted to very high standards, this compact computer desk has a pull out keyboard shelf to provide extra working space and a cupboard door that slides back onto itself, giving easy access to your computer or tower unit located on the concealed pull out shelf located within the side of the desk. 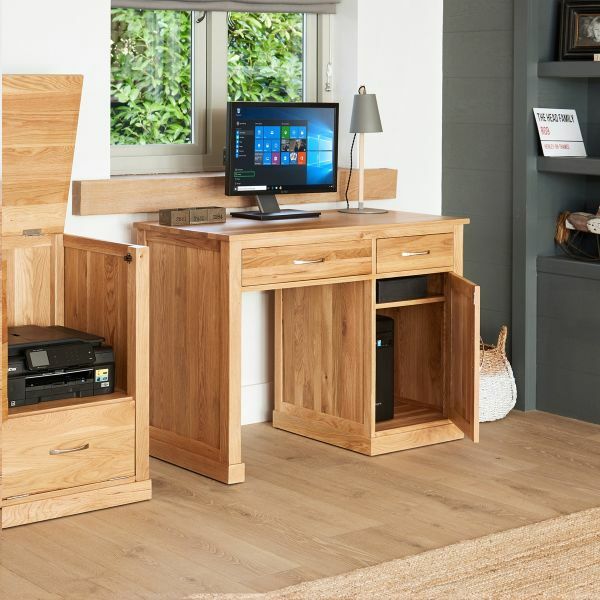 All drawers are made with dovetail joints and carefully positioned pre-drilled cable holes allow all of those cables to be tidied neatly away. 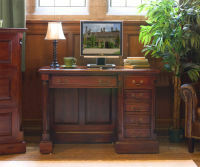 This is complemented perfectly by the small mahogany filing cabinet from the same range.